Dream Occasions was founded by award winning architect & set designer, Shilpa Patel, in 1999 and has since grown into an industrious event designer. Today Dream Occasions is not only a design studio but also a custom fabrication company which stands with over 15 years of experience in the event industry with a track record that includes events for: The PGA Rider Cup, the Marriott Group, the Hilton Chicago, Kraft food & Motorola to just name a few. We have serviced celebrities like Tiger Woods, Justin Timberlake & Michael Jordan as well as Bollywood Celebrities & Concerts as well as numerous high profile weddings. Dream Occasions (DO) specializes in producing the most exquisite event decor and stage designs for intimate weddings as well as massive multinational events. What distinguishes our work from the rest is the fact that we tackle stage and set design from the perspective of an artist’s eye. All our sets are hand crafted at our studio or our factory in India and we are constantly working on new and exciting concepts. Our designs can be tailored to fit your budget whilst still exemplifying your personal taste. No matter the size of your function or the capacity of your budget you will always be treated with the same distinctive professionalism that our company has become synonymous with. We guarantee a superior product with superior service and attention to detail that is unsurpassed. 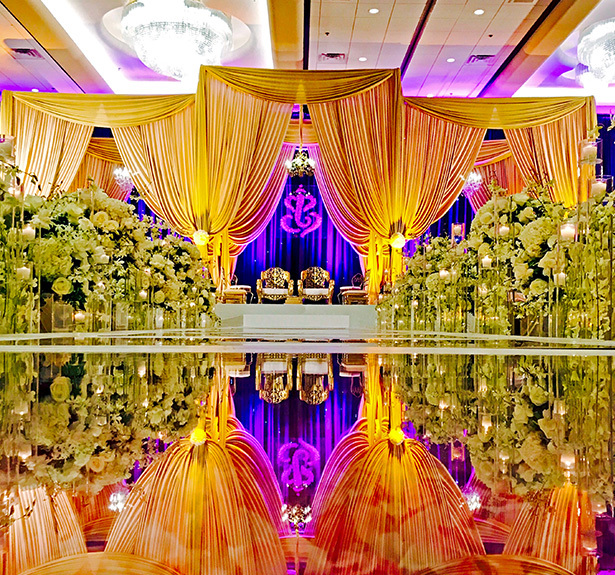 Dream Occasions is Chicago’s leading Indian & American Wedding Decor & Event Design Company. When working with Dream Occasions you also have a dedicated in-house team of custom fabricators at your disposal – from carpenters to hand carvers – a first for Chicago Asian wedding. The possibilities are endless. Dream Occasions has developed a reputation over the past fifteen years for providing the highest design quality that is the epitome of personalized style. Remember to be wary of imitations – pictures last forever – if you have to be told what you are looking at; so too do your guests. Our designs speak for themselves. Floral sculptures and props look like what they are meant to represent. We are committed to assisting the bridal couple in creating their Dream Wedding by providing the highest level of comprehensive and personalized service. Designer Weddings are what we do best! We have had the opportunity to design and build some really intricate and high profile Designer Weddings, stage décor & sets for some really extraordinary people. This has helped in solidifying our reputation with all major venues in the Chicago Land area, as well as most of the leading event service providers. Over the decades, Dream Occasions has come to be regarded as second to none. Each of our projects are treated as a unique art installation; with paramount importance placed on attention to detail, customer service and competitive pricing. We have had the opportunity to design and build some really intricate and high profile Designer Weddings, stage décor & sets for some really extraordinary people. This has helped in solidifying our reputation with all major venues in the Chicago Land area, as well as most of the leading event service providers. 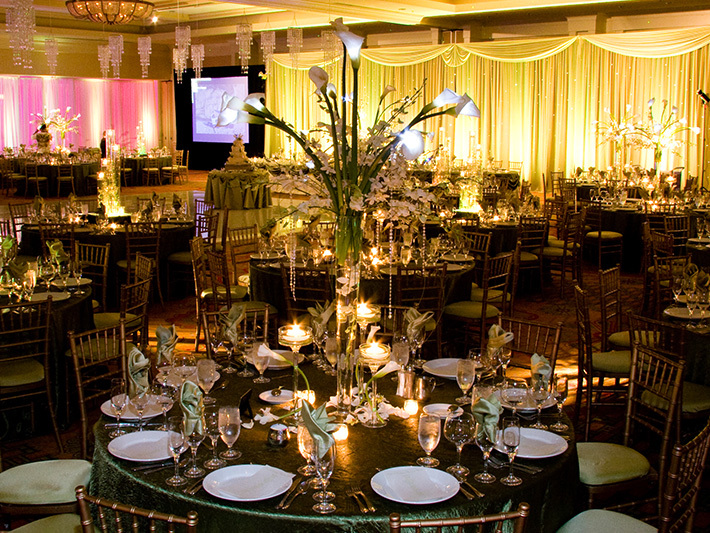 Over the decades, Dream Occasions has come to be regarded as second to none. Each of our projects is treated as a unique art installation; with paramount importance placed on attention to detail, customer service and competitive pricing.